VBScript Integer Similar to the colour format in VBScript. 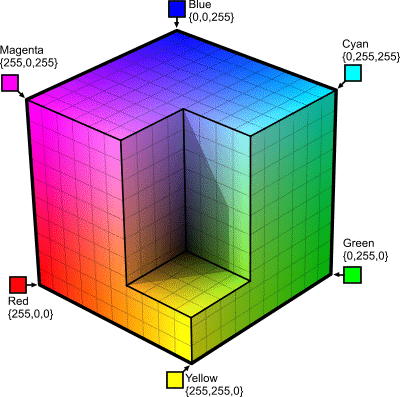 Can be constructed using the RGB() function. 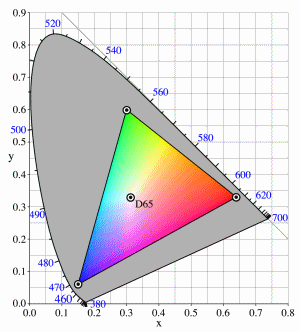 RGB Integer() An array of three integers, one for each color channel. The values do not have to be limited to the 0~255 range but they will be clipped when they exceed this domain. RGBA Integer() An array of four integers, one for a each colour channel and an alpha value (the fourth element, zero being completely transparant and 255 being completely opaque). The values do not have to be limited to the 0~255 range but they will be clipped when they exceed this domain. Use a VBScript color constant (other constants are vbBlack, vbWhite, vbBlue, vbGreen, vbCyan, vbMagenta and vbYellow). Use a VBScript color integer (obtained in this case throug the RGB() function). Use an array of three values (red, green and blue). Use an array of four values (red, green, blue and alpha). Use a GDI Brush Object. The first three methods all have exactly the same result. The fourth method draws a 50% transparant circle and the fifth method uses a Brush definition which could be a solid color, a gradient, a texture, or a hatch pattern.